Read our article from our trip to Israel on the blog here! 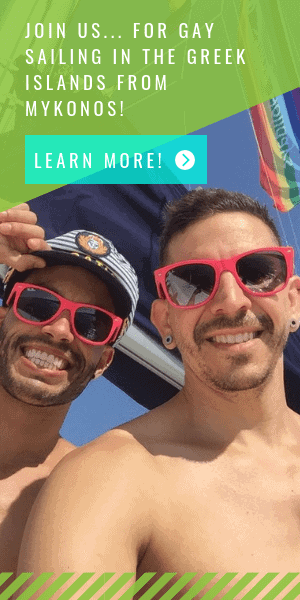 They offer everything from short tours during gay pride to custom trips and tours in Israel and Jordan. During summer they offer gay bus trips every weekend to the Dead Sea, Jerusalem and several other destinations. They also offer customized travel services and packages if you’re looking for a full-service tour operator. During Tel Aviv pride, they run the bus tours on a daily basis. Save up to $50 or more on all tours with OUTstanding travel. Just mention TWOBADTOURISTS when booking for your discount. Tel-Aviv is quickly making a name for itself as one of the top Gay destinations in the world. This is one unforgettable week, as Gay tourist from all over the world flock their toned, chiseled bodies to get a glistening glimpse of the vibrant nightlife, outrageous parties, a must see-to-believe Pride Parade. OUTstanding Travel makes celebrating your Pride as seamless as possible, from accommodations at the best hotels in the city, reservations at the trendiest restaurants and insuring your entry to the most exclusive parties and fabulous events taking place during Pride. 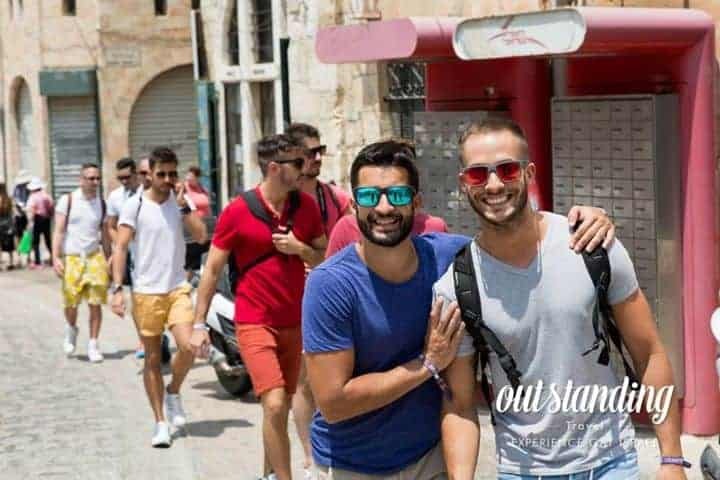 Join gay tourists from all around the globe for one unforgettable experience.These planned group trips gather travelers together for 8 nights, 9 days, planned from top to bottom, with high-quality service. OUTstanding Travel takes you through Israel and unfolds its true magic and beauty. The trips include visits to Jerusalem, the Dead Sea, Tiberias and Tel Aviv. The package includes airport pickup, sightseeing with English speaking guide, meals, entrance fees and entrance to a Gay Party on Friday Night.